Traditional or Indie publishing – which is right for you? It’s decision time – which route will you take? Pursue a traditional publishing deal or go Indie? I’m sorta hedging my bets just now, and trying for the hybrid route (bit of both), but on many grounds I’m leaning more and more towards the Indie route for a whole heap of reasons. Thought I’d share a bit of both experiences to better help you make up your own mind. I am a traditionally published author. I have 2 non-fiction books, one hardback, one softback, in print, and they sell small numbers but steadily. I got an advance on each, and in addition to book store and internet sales, I buy them at author’s discounted rate and sell them myself, making a bit of profit. Validation – my writing (and knowledge) are deemed worthwhile to be put out there in front of the public. The advance payment – not having to wait until the book is out there before seeing any income. I don’t have to do anything other than write the text, and provide suitable photographs for illustration. My work is professionally edited. My covers were designed and provided. The marketing department arrange review copies and send me nice little photographs of my reviews. A Christmas card each year, signed by my commissioning editor. I already know my knowledge is good enough, as is my writing. 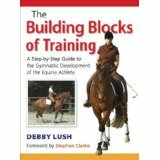 I’ve been writing features in magazines for years and I am an acknowledged expert in my field (dressage training). The advance. Oh yes, I got one for each book: £2000 to be precise. But that’s split into 3 parts: one third on signing the contract, one third on delivering an acceptable manuscript, and the last third on publication – minus what they paid someone to provide the index. Until they ‘earn out’, i.e. my publisher makes back the advance, I won’t be paid any more. At my earning rate of about £2 per book, that’s going to take a while. Book 1 has been out for 5 years, and is nearly there, Book 2 has been out 3 years now and will take about the same length of time, sigh. Buying them and selling them on nets me around £8 per book – much more like it, and it goes straight into my bank account. Writing the text is no problem. The photographs, on the other hand – nightmare! 50 high quality photographs per book, for which my publisher provided £500 towards costs. When you work with animals (remember that ‘never work with animals or children’ thing that actors talk about? Same applies to illustrative photography) you need to take around 50 snaps to find one usable one. Go on, do the math. That’s a lot of photos. Not only will it take numerous shoots, but just you try organising horses that are feeling co-operative, a photographer and sunny weather for that all-important quality, all on the same day. Fun – not. My editor was great – I was just a tad miffed that he decided to use my format for the next book he edited as well – which happened to be by someone famous and so with more selling power. I like my covers, but it would have been nice to have some say in them. If I’d known the cost of the index was coming out of my advance, I’d have tackled it myself. The marketing department? Outsourced and, in my opinion, hardly worth the effort. All they did was send out a few review copies and that was that. 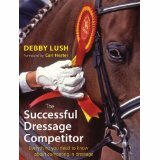 I have done all my own marketing – arranged signings (to which I take my own purchased copies to sell), written and sold magazine features to highlight them, put them on my website http://www.downshep.com/debbylush/ (it’s a bit out of date – must do something about it! ), and sold them to all my clients, and at venues where I give training clinics. This year I’m doing a leaflet drop at a trade show. I can write what I like. That doesn’t mean I’m ignoring rules of good writing, or being reckless with my content, but I don’t have to fit myself into a publisher’s niche, or play the game of trying to write what they want, rather than what I want. Writing is at my own pace – I’m used to writing to deadlines, but thought of doing it relentlessly gives me the collywobbles. Outsourcing anything I don’t want to learn myself, like formatting, is easy. You can outsource any bit you want with a little research; there are plenty but plenty of people out there willing and expert at doing what you don’t want to do. Marketing will be at my own pace too – I have plenty of experience with the two books I have out there, and although I realise that marketing fiction will not be the same, being my own marketing department will be best for my book as I’m going to be unfailingly enthusiastic about it! It’s been a long and steep learning curve, but now I’ve done it once, I won’t need to repeat. I’m putting money up front, in terms of cover design, formatting and some marketing, but it’s not a great amount to get a business of the ground – and this is a business. Time – Indie publishing eats it. Not having a publisher behind me. Erm, what did my publisher do for me? Not much. So there you have it – my thoughts on the great debate thus far. I will fill you in later, once my book has gone live, and review how I feel about it then. In the meanwhile, I have to admit to still hedging my bets – I have an Urban Fantasy out with an agent. But after my experience with the one I’m about to publish (which did the rounds of the then Big Six, for over a year but still didn’t sell), I reckon if this one doesn’t get snapped up pretty quickly, I’ll just go ahead and publish it myself. After all, I’ve learned the ropes now, so why not? How about you? Have you made the decision, or are you prevaricating, like me? I’d say being an indie does not mean that you won’t have your work professionally edited, so I’d knock that out of the list, even if many indies don’t go that route.. It does mean that you have to stump up the money before your book has made a cent back. I’d also qualify the ‘no deadlines’ comment, especially if you’re writing a series, but in fact regardless of what you’re writing. Writing a series, you’re expected to come out with a regular book and if you don’t you’ll damage your following. Even if you’re not writing a series, you don’t want the buyers of one book to have time to completely forget you. Then there are market cycle imperatives like having a new book to ride the post Christmas sales boost. Indie is hard but fun. To me, it comes down to control, but the issue is more than one blog post, it’s a college course! Hi Mark and thanks for sharing. Your points are totally valid – I will be interested to see how my work is viewed once it gets out there, not having paid for professional editing. I know the advice is that you must do this, and that writers regret not doing it. For me it’s a question of, how professional is professional? All of my writers group are published many times over – I reckon we know what makes a good story between us. English? My work has been published (ok, so it’s non-fiction, but still in English) for more than 10 years (I’m a magazine writer as well as book author), and I rarely get any editorial changes on that front. And then my proofreader is trained in the technique. My novel was also accepted by an agent and had a small rewrite (for emphasis on one point) subsequent to that. So this will be a really interesting exercise. Deadlines? Yes, I know I need to keep getting new work out there, but at least my deadlines will be self-set, and if life gets in the way (as it does!) I won’t have a contract breathing down my neck! I’m really enjoying the Indie process, and I plan on more posts as my experiences develop. Excellent and thorough post – really enjoyed this. Personally I find the indie route a lot more fun, even though it is hard work. Good luck! Thanks Deborah! This post really helped me. I’m trying to decide which way to go myself. I have 2 manuscripts out (same book), one with a major publishing house and one with a small independent press. I’m waiting to hear, but if it doesn’t work out then I will move toward self-publishing. I worry about being able to format for soft cover and ebook, but as you say, I can find someone to do that for me. I converted some earlier scenes from Appleworks to Word for Mac and I have had to be creative with some line spacing malfunctions. However, I’m in an upgraded system now with Word for Mac, I just worry about the manipulated sections making a general formatting transition. I do like having some creative control over the cover art and from what it sounds like, even if traditionally published, I will have to be my own saleswoman. I will be looking forward to your sage advice. It’s a difficult decision, isn’t it? Although I know some traditionally published friends who have decided to go the Indie route even though their publishers are still taking their novels – think that says something. Certainly you will be doing your own marketing whichever way it goes for you unless you are the next J K Rowling! I have plumped for going with draft2digital, a company that do all the formatting and upload to all the platforms for you, for a modest 10% of your sales. if you don’t earn, neither do they! Maybe when I get braver I’ll try doing more myself, but frankly I’d rather spend the time writing than figuring out all the tech stuff and how to deal with all the sales platforms. D2D also deal with reporting and getting payment, and are really easy to use. All you need is a manuscript and a cover. I hate to say it, but I think you’re simplifying things a little. Traditional publishing also gives you the possibility of mainstream press (this goes under “validation,” I guess, but it’s a much bigger deal). You may NOT get mainstream press, but it’s a possibility. Whereas with indie, you pretty much ONLY get mainstream press after it’s not longer needed — after selling 100,000 (paid) copies or so. This is literally true: 95% of mainstream outlets have a “no self-published submissions” rule (violated only in extreme circumstances). Now there are other ways to get the word out other than mainstream press, which isn’t the be-all and end-all. But most of the non-work-intensive ways to promote your book in indie publishing require some form of payment. Also, getting your book in actual bookstores is virtually impossible for a self-published book — unless, of course, you’ve already sold so many books that you don’t really need that avenue to be successful (see ELF ON A SHELF). Again, this is not the only way to sell books, but it’s a lucrative one. Finally, very, very few libraries will purchase a self-published book (unless it’s already a success, blah, blah, blah). Again, not a deal-breaker, but this is HUGE source of income for the traditionally published writer that is not available to the indie published one. I hope this doesn’t come across as critical, because I always appreciate writers sharing their experiences. But I see so much writing about indie publishing that really doesn’t paint the whole picture, and I want more people to have their eyes full open. Fair comments all, I’m just sharing my own experience of being traditionally published. When the first came out, my publisher said ‘you’ll be hearing from our marketing department soon’. Admittedly they garnered three small reviews in the mainstream press, which they sent me photocopies of. Did those help sales? Impossible to say. What I do know is, is that the vast majority of the books I’ve shifted myself, with my own marketing ideas – at last count, 2000 of the first, and 1500 of the second so far. The second book I don’t think they even bothered to try marketing (and this is the biggest equestrian publisher in the UK), so no press reviews that I’ve been notified about. Sure, there are some review copies showing up on my Royalty statement, but no results that have been shared with me. Book stores? Yes, it is in a few. Again, I’m not seeing them fly off the shelves, despite excellent feedback and reviews. Libraries would probably not carry these anyway, as they are a small niche (dressage horse training), so I have no experience of that possibility. I appreciate all you points are ones to consider, and thanks for sharing them.